1 Day CRASH Course for PTE-Academic aspirants, taken by PTE Master Trainer Murtuza Rangwala. Murtuza Rangwala has many years of teaching experience under his belt. He has trained thousands of students for IELTS as well as PTE-Academic. Murtuza Rangwala himself has taken the PTE-Academic test, and has got a perfect overall score of 90/90 [Equivalent to Band 9 Score in IELTS], and also perfect scores of 90 each [Equivalent to Band 9 Score in IELTS], in all the four modules of Speaking, Writing, Reading and Listening. 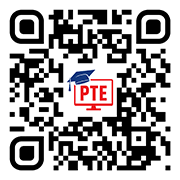 This detailed lecture will provide you all the advance information on two modules of PTE i.e. Listening and Speaking along with the guidance of scoring pattern, time management techniques, and smartest way to practise. The PTE Masterclass is generally held on Saturdays, the availability of which you can check below. Register yourself for this Master Session and learn proven tips & strategies to get the required score. Most of the questions of PTE Speaking & Listening will be covered - in detail, with to-the-point techniques and strategies to ace them. All tasks will be taught with relevant examples to make it easier to understand. Limited Seats - The master class is held on a first-come-first-served basis. As we have limited seats, it is advisable that you book your slots soon. PTE-Academic material will be shared via email after the class. 2 Full practice tests for practice & self-evaluation from https://ptetutorials.com/ (a flagship product of Aussizz Group). Think no more. Look no further. Book your PTE Master Class NOW, and achieve your desired score.